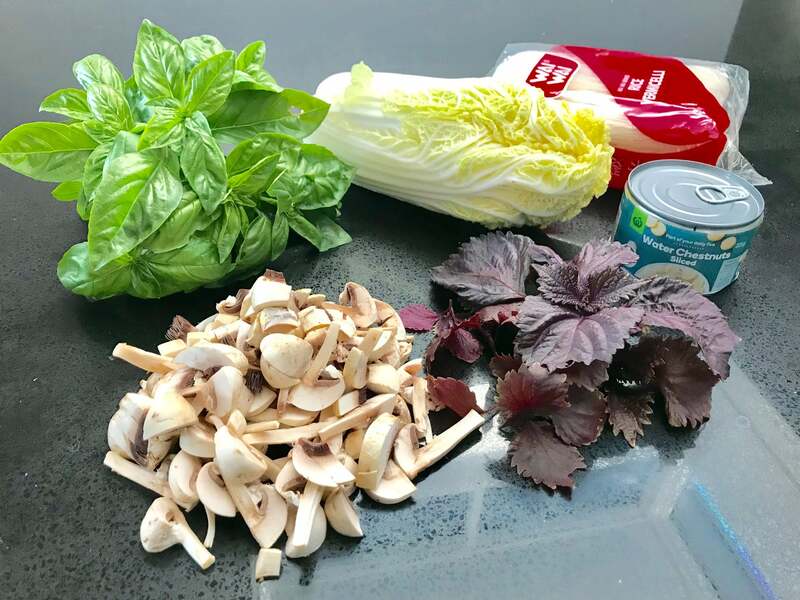 Home › Urban Farming › Recipe 4: Asian Greens for a Quick, Tasty Treat! This dish serves 5 people. Firstly get your list together, and get picking in your kitchen garden! In a large frying pan sauté the carrots in a little olive oil, then add the pork mince and stir. Once the meat is browned add the XO sauce and water chestnuts, stir well, then simmer on low heat. In a separate pan fry the mushrooms in a little olive oil adding pepper and salt as desired and stir until brown. Add the wombok cabbage, stirring, then lower the heat. After 2min, take off the heat and put into a serving bowl. Cook the vermicelli according to the instructions on the packet and place into a serving bowl. Slice the basil and add it to the pork mince, stir well then take off the heat and put into a serving bowl. 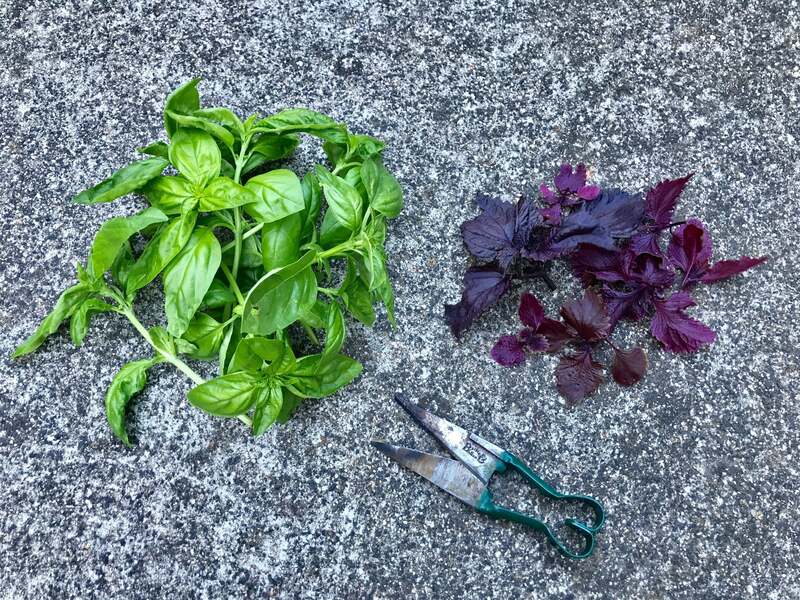 Slice the shiso leaves into very fine ribbons and put in a small serving bowl. Chop up the peanuts and put into a small serving bowl. Wash the cos lettuce and separate the leaves to creating little cups, place in a serving bowl for the table. 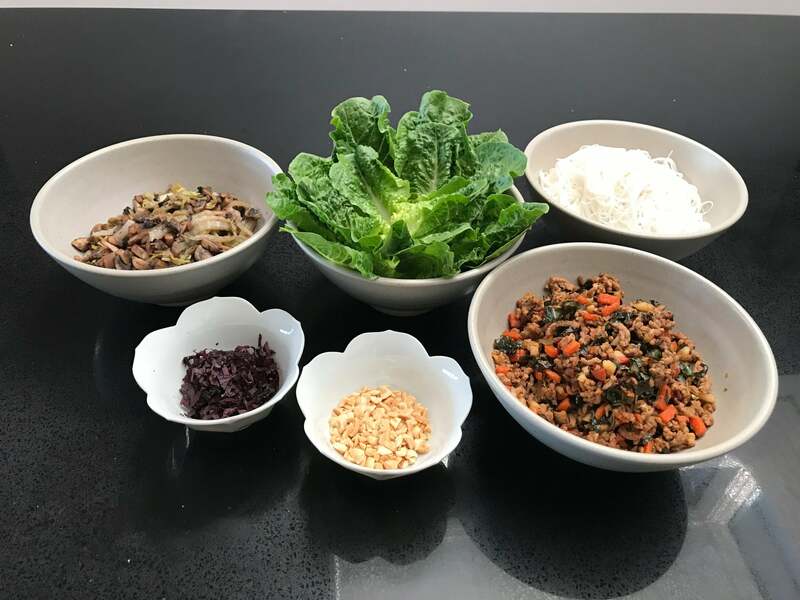 To Serve, take a lettuce leaf and put some vermicelli noodles in it, add a spoonful of both the pork mince and mushrooms, then top with a garnish of shiso leaves and peanuts. It's always good to add your favourite chilli accompaniment, to really get the dish flying!